This a complete set of study guides for the play Our Town. 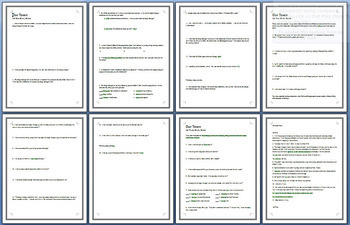 There are a total of 37 short answer questions that students can use as they work their way through the play. This includes an answer key at the end of the document. Seven pages of questions.